When an author of fiction writes about a place like Kochi, a cultural milieu shaped by labyrinthine historical narratives, the major concern is with authenticity. In a way, the very factors that attract the author to the work in the first place turn out to be its most intriguing impediments. Your imagination is stimulated by the milieu; now how is your language going to interpret and translate this stimulus? The path of exhaustive research is the most popular one, especially in contemporary Indian fiction where a matrix of socio-political factors—of which the interests of market is not insignificant—has made history a fashionable and oft-frequented fictional location. Common sense dictates that the more information you have about the place where your work is set—its people, geography, customs and traditions, fashion and culinary culture—the more authentic your work is likely to be, and consequently more powerful. There is a school of thought that holds authenticity in literature is an effect that comes from within, a result of the work’s inner, invisible structure woven by strands of which politics happens to be just one. So, even the most well-researched work is a sham if the perspective of the research is framed by an outsider’s eye for the exotic. Those who stand by this argument believe fictional authenticity has to, and can only, be understood as an abstract, aesthetic ideal. It is not a consequence of precisely assorted and manoeuvred sets of researched data. Johny Miranda and P. F. Mathews, authors of two of the finest, although little-known even in Malayalam, Kochi novels, are firm advocates of this notion. What matters, they say, is not whether this or that nugget of information is historically precise, but whether it is aesthetically valid. To impart knowledge is not fiction’s business; what it strives for is to lead the reader to dimensions that can exist only in the realm of imagination, of dreams. Both Miranda and Mathews hail from the Latin Catholic community of Kochi’s cluster of tiny backwater islands. They affirm that the decision to base their novels on Kochi and on the life of Latin Catholics was not born of a conscious urge to write a Kochi novel that focused on community assertion. The urge instead was to write a novel that conformed to universal ideals of aesthetics based on what they knew best, and what for them was lived experiences. Kochi was not the focal point of imagination, but a medium for these writers who locate themselves unequivocally on the side of art in that ancient, unresolved, debate on what art is for: for its own sake or for the sake of life? It’s within the framework of this debate that they prefer to place the discourse on authenticity in fiction, instead of reducing it to a squabble between the “insiders” and the “outsiders”. Given the unabashed propensity with which contemporary Malayalam—its print media, social media, and academic discourses—straitjackets works of art and literature on grounds of ideology and identity this is a significant point of view. Miranda’s commitment to the “good novel” and to its “literary reader” is matched by the contempt with which he regards the “easily pleasing novel” that caters to the “lazy reader”. Employed as a lineman with the Kerala State Electricity Board, he is particularly scornful of the “well-researched but lifeless novel” which, according to him, is an exploitative genre and a market-driven project that aims at only taking commercial advantage of the reader’s curiosity, a treachery that he believes will be exposed by the forces of time. “This is the information age, and there are plenty of works, especially in Malayalam, where you know the writer has chosen a certain topic and proceeded to write a fictional work on it. Or he or she has obtained exotic or unusual information from sources like the Internet. Still others do ‘fieldwork’—meet people, especially old people, tap into their memories, and use it in their writing. Such ‘research-based’ works often reveal their true selves later because the ingredients lie separate and half-baked in the final dish,” he says. Though it was not his objective, the novella is one of the most powerful narratives of community assertion in Malayalam literature. No work of fiction illustrates the ethos of the Kochi-Creole world and the life of the Anglo-Indian Latin Catholics with such disturbing grace and panache as Requiem for the Living. Miranda also avers that Requiem for the Living was not meant to be a comprehensive record of his community’s life and culture, and makes it a point to emphasise that the novel’s world view is not a flawless articulation of the community’s world view. While Miranda and Mathews do not argue with the notion that a written text can be read in whichever way the reader wants, they feel mainstream readership is short-changing itself as well as writers committed to ideals of artistic intuition by reducing everything to inflexible, discursive trajectories of political correctness. According to them, it does not help that from early works written with the proclaimed goal of community reform to the works of the Progressive Writers Movement—Purogamana Kala Sahitya Prasthanam—inspired by proletariat idealism in the 1950s and 1960s, to the works of identity assertion that continue to have prominence from the Nineties, Malayalam has a history of literature that catered readily to the demands of reductionist political readings masquerading as literary criticism. The emergence of identity studies, first in the early part of the 20th century as a political movement within subaltern communities, and later in the Nineties as a post-colonial academic project that mainstream magazines appropriated into a journalistic genre that some publishers now catalogue as “life writing”, is significant in this context. 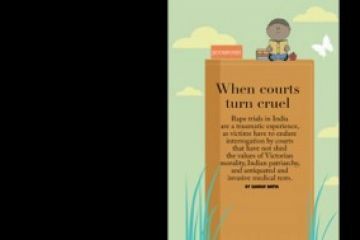 Given the way it confronted, and to an extent toppled, the domineering Savarna hegemony of mainstream imagination, any rebuttal of its theoretical framework stands the risk of being exposed as elitist and snobbish. However, both Miranda and Mathews hold the view that in the last decade or so, identity studies has become yet another oppressive norm, a prisoner of its own devices, sabotaging its very premise by crippling writers by coercing them into the very boxes that they loathe—a classic case of critique against one hegemonic order turning out to be another hegemonic order. P. F. Mathews, author of Chavunilam (Dead Land), a hypnotic account of life in a nameless Kochi backwater island populated mostly by Latin Catholics, wonders why only writers from subaltern cultural locations are expected by mainstream academic discourses to carry the burden of being “voices of their community”. Citing his own experience, he says subaltern writers find themselves in the middle of a two-pronged battle where on the one side they have to face up to dominant upper caste voices—both Hindu and Syrian Christian—to be even heard, and on the other, resist the academic patronage of those who are insistent on deploying their works as mere political artillery in an ideological war. First published in 1996, Chavunilam portrays, with tenderness, the human condition as a carnival of death—almost all the 25 chapters have vivid descriptions of death and ghosts. It was hardly even acknowledged as a published work until 2010 when, after Mathews won the national award for best screenplay for the film Kutty Srank, it was published again. Despite that it has remained largely obscure. Some of the few who did read it chose, much to Mathews’s consternation, to focus on aspects of identity and cultural landscape rather than on its aesthetic topography. 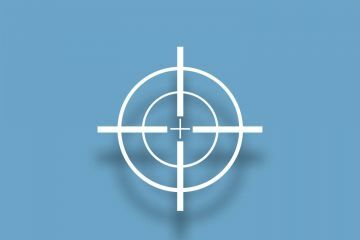 The emphasis journalism places on contemporary reality as the supreme form of reality, and the myopic view with which it frames a populist and easily readable mode of communication as the most politically correct form of literary expression, according to him, is a trap that has consumed both readers and writers. 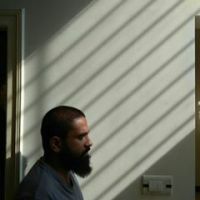 Mathews believes one major reason for such inclinations to reduce everything to crude moralistic binaries—whether a certain work is offending, whether it is politically correct—is the influence of weeklies and monthly magazines which determine the tone and tenor of literary culture in Malayalam. The emphasis journalism places on contemporary reality as the supreme form of reality, and the myopic view with which it frames a populist and easily readable mode of communication as the most politically correct form of literary expression, according to him, is a trap that has consumed both readers and writers. The advent of social media platforms where the “shallow spontaneity of reactions” is the unforgiving norm has, he believes, only exacerbated this situation. Despite its celebrated historical grandeur; despite being the only metropolitan city in Kerala; and despite a thriving literary tradition of “writing the land/desham” (nation)—Kochi has not featured that often in Malayalam literature. The near-absence of literature that depicts the coastal life in the region has been ascribed to several reasons—the dominance of Savarna voices in both mainstream literature and the left liberal ideology that provides its theoretical structure; the distinctness of its cultural life (a consequence of its miscegenated identity) that is at odds with the upper caste Hindu elitism that defines Kerala’s mainstream culture; the economic backwardness of the region; the lack of sufficient documentation of its culture. But it is surprising, given Kerala’s predisposition towards celebrations of both its ancient cosmopolitanism and a self-constructed image of a sociologically-conscious, contemporary society, that neither the colonial past of Kochi—a city colonised by three different forces in three decades and from where India’s colonial past had begun—nor its present status as a thriving metro notorious for its high crime rate has been explored much in fiction. Parishkara Vijayam (Victory of Reform), written by Variyath Chori Peter, and published in 1906 by Kochi Union Press, is the first novel to portray the life of Latin Catholics in Kochi. As the title would suggest, it was written with the specific intention of achieving community reform. Written in the tongue of the region, the novel provides a vivid portrait of life at the time. However, it did not inspire a successor until Ponjikkara Rafi, towards the middle of the last century, came up with Swargadoothan (Heaven’s Messenger), a brilliant stream of consciousness novel that also presaged the destiny of obscurity which was to befall Miranda and Mathews on their literary journeys. It remains out of print in Malayalam, and is seldom mentioned in academic discourse, though many second-rate novels of the same era are still talked about for their “revolutionary merit”. Rafi’s other novels—Paapikal (The Sinners), Oro Pro Nobis (Pray for Us), and Kanayile Kalyanam (Marriage at Cana)—are also based on the region, though his later novels focus more on cultural documentation—thus, ironically, making them excellent research material for modern-day writers—rather than on the one-of-a-kind experimental streak that distinguishes Swargadoothan. Neither the Progressive Writers Movement post-Independence nor the modernity movement inspired by existentialism in the 1970s featured significant Kochi-based works. The notable exception is the short stories of Victor Lenous, arguably the most stylish writer of urban male angst and loneliness in Malayalam. In a career spanning 20 years from 1972 to 1992, Victor wrote just 12 short stories, almost all based on the city of Ernakulam, while most of his contemporaries preferred Delhi for their heroes, most of whom were rootless young men lost to existential pathos. Victor was uninterested in exploring the historical dimensions of Kochi, focusing instead on the urban ethos of modern Ernakulam, still evolving at the time. His sleek stories present the first and perhaps the finest instance in Malayalam of investigating the aesthetic possibilities of crime and the underworld. Though they have gone on to achieve cult status—especially since his death in 1992—the stories remain largely obscure in the domain of mainstream literature. The most famous Kochi novel in Malayalam is inarguably N. S. Madhavan’s masterly crafted Lanthan Batheriyile Luthiniyakal, translated and published by Penguin Books as Litanies of Dutch Battery, which tells the story of an imaginary island named Lanthan Bathery through the voice of its intriguing narrator, Edwina Theresa Irene Maria Anne Margarita Jessica, whose tone is at once intensely autobiographical and objectively political. Unlike Miranda’s and Mathews, Litanies of Dutch Battery is kaleidoscopic in its narrative structure and covers a far broader historical, political and demographic spectrum. If in Jeevichirikkunnavarkku Vendiyulla Oppees and in Chavunilam, the geographical isolation of the island is reflected in the way its characters disengage from both the world around them and the opulence of historical narratives that define their existence in mainstream consciousness, Madhavan’s Lanthan Batheriyile Luthiniyakal rigorously chronicles the ways in which the island and the history of the world around it reach out to each other, thus accomplishing the narrative of isolation by means of describing its very obliteration at the altar of politics. In that sense, the mien of the novel is postcolonial and historical, as opposed to the magical realist version of an old school existentialism—a Dostoevskian twist to Gabriel García Márquez —explored by the other two. This is hardly surprising either, coming as it does from a writer like Madhavan, a pioneer in Malayalam at developing a form and structure that map the archetypal emotional crises of his characters with the contemporary political crises of the world around them. Lanthan Batheriyile Luthiniyakal, both critically lauded and commercially successful, has its share of critics. J. Devika, for instance, argues that Madhavan, in his attempt to reclaim the multicultural legacy of Kochi, employs Parankis (the Malayalam term for Kochi-Creole people, literally meaning Portuguese) as “one of the elements in constructing its exotic allure”. Mathews, too, believes the novel is guilty of exoticising history which, incidentally, according to him, is one of the main reasons for its universal acceptance. Mathews is also critical of the voice of its narrator Jessica, in particular of the way Madhavan chooses to cast her in the same Biblical mould as Jesus. “All of that seems a little too contrived,” he says. Kochi and its colonial history have found expressions in English too, most famously in Salman Rushdie’s The Moor’s Last Sigh where, in a manner typical of him, Rushdie chronicled the history of a Rushdian Kochi, a city invented upon the edifice of a colonial historical imagination with the dreamy astuteness of a postcolonial Victorian sensibility that defines his oeuvre. With the emergence of Kochi, especially Fort Kochi, as a prime destination in the international tourist map, a glut of travel guides and coffee table books have started coming out. In sync with its projected image of a tourist site that provides a sumptuous feast of colonial vestiges, these are usually bland reproductions of popular historical narratives that faithfully glorify the city’s imperial legacy. While its literature has not had much to do with Kochi, Malayalam cinema has since the advent of the millennium turned the city into its cultural and industrial headquarters. This is a direct consequence of the industry shifting its financial base from Chennai, where it was headquartered from inception, to Kochi following the emergence of modern studio facilities in the city. Soon, the city—again, especially Fort Kochi—also became the favoured location for filmmakers. A whole new genre of Kochi films emerged which located the city as Malayalam’s own underworld: a Chotta Mumbai, as the title of a blockbuster movie says. But despite the fact that according to official figures, Kochi has, for the best part of the last 10 years, found a permanent spot at the top of the list of cities with the highest crime rate, this cinematic underworld is a blatant misrepresentation. It’s a caricature inspired more by the commercially appealing visual possibilities of its setting than by any meaningful interpretations of an existing social condition. With its crisscrossing networks of narrow alleys, its massive godowns, its graffiti-laden walls, its harbour and its colonial architecture, Fort Kochi and the adjacent Mattancherry are tailor-made for run-of-the-mill action thrillers. A lot of these are also blatant rip-offs of foreign language movies, especially Korean, prompting Anvar Abdullah, an eminent film critic, to ask if Kochi is the capital of Korea. The only noteworthy exception is Rajiv Ravi’s Annayum Rasoolum (Anna and Rasool), a Shakespearian romance in the Vishal Bhardwaj mould, in which Kochi is as much a character as a location. Along with its visual peculiarities, the idiosyncrasies of Kochi’s vernacular too are a commercial factor that Malayalam cinema, in particular the much-celebrated (and much-maligned) “new generation cinema” has exploited. Here too, the emphasis has been on parody than a faithful cinematic reproduction of a distinct accent. If literature had sought to exoticise the history of Kochi, cinema’s endeavour has been to exoticise its present, populating it with Godfatheresque dons and dope-crazed freaks. The actual dynamics of crime and its tangled operational networks are paid scant regard. Had that not been the case, more crime, action and underworld thrillers would most certainly have had the globalised and haphazardly-crowded urban milieu of Ernakulam as its background rather than the dazzling locales of Fort Kochi. Had that not been the case, more crime, action and underworld thrillers would most certainly have had the globalised and haphazardly-crowded urban milieu of Ernakulam as its background rather than the dazzling locales of Fort Kochi. Ironically, cinema itself has now birthed a local underworld of a different kind, one that controls such production processes like renting buildings, providing local “extra” artists, and so on. In literature, V. M. Devadas’s Pannivetta (The Boar Hunt), published in 2010 by DC books, is the only contemporary novel of note to explore the aspects of Kochi as a hub of crime and its complex post-globalisation socio-political ethos. The plot of Pannivettarevolves around the life of a set of local gangsters who have been hired to be part of a Russian roulette in connection with the setting up of a corporate industrial township named Info City. Grushe, a Russian-born Jew who migrated to the US following the collapse of the USSR, is the woman assigned to conduct the roulette. The novel is narrated as a set of profiles of the gangsters Grushe meets after she arrives at Kochi. Devadas, who hails from Thrissur, Ernakulam’s neighbouring district, says he was drawn to the idea of a Kochi novel primarily on account of the possibilities the city offered to investigate the multifarious dimensions of globalisation, as both a political and personal experience. Rather than documentation of the city’s colonial past, the novel’s focus is on documenting the history of crime and violence in Kerala society from 1970 to 2010; and to explore the interconnected networks of state and its machinery, various business mafia, and conventional political and economic ideologies. Kochi, in this novel, is deployed as a metaphor for the novel’s philosophical pursuit, a modern city that has both geographic and economic hideout-islands in its margins. However, Pannivetta too, has been criticised for the ways in which it seeks to transform Kochi into a fantasy. Mathews says the novel is “an escapist narrative that does not address the harshness of either the historical or contemporary realities it seeks to portray”, an illustration of “how things can go wrong when you approach a place like Kochi with an outsider’s preconceived notions”. To this criticism which implicates him of exoticising the contemporary, Devadas argues that following the advent and consolidation of a globalised world political order, the conventional notions that went into the construction of land/desham—language, traditions, customs, regionalism—have collapsed, and consequentially, those that used to distinguish an insider from an outsider as well. Such questions, ancient and unsettled, yet offering multiple—and equally vindicated—paths for its resolution, are what matter most. 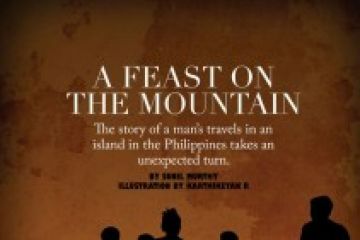 The story of a man’s travels in an island in the Philippines takes an unexpected turn.